Boise City’s Decision to build an All Skills Bike Park in Military Reserve was made without public involvement. The Decision is the result of a corrupted process, and must be set aside. First and foremost, the Military Reserve Area was established as a Reserve for Historical, Wildlife, Natural and Open Space purposes. It was not established to be a Bike Thrill Park, Dog Park, or to have Use after Use crammed into it – until the area is “loved to death”. Locating an All Skills Bike Park in Military Reserve would cause significantly increased user conflicts and environmental degradation in this sensitive area. Intensified use would spill over into the adjacent very important natural areas of Cottonwood and Freestone Creeks, and the Reserve’s wildlife and rare plant habitats. Aase’s onion. One of the rare plants that grows in Military Reserve. 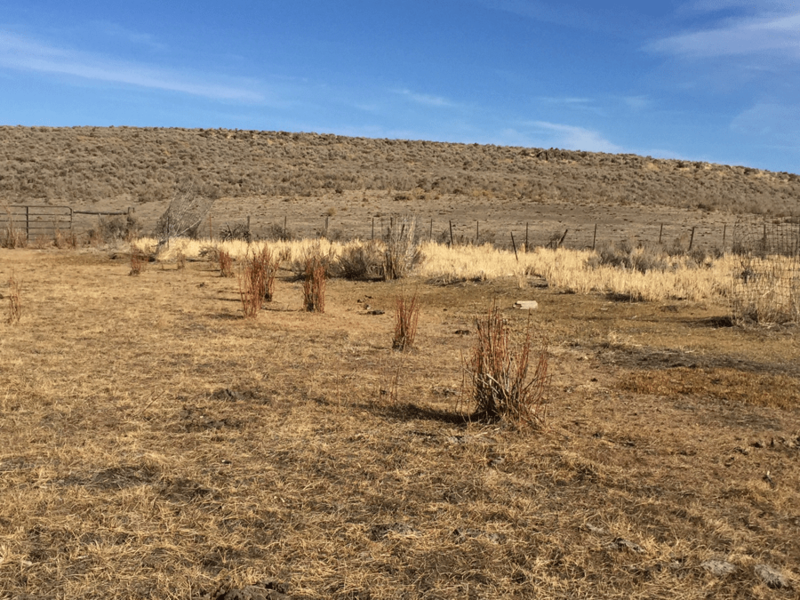 Disturbance-associated weeds like cheatgrass and medusahead threaten to choke its habitat, as does extensive development taking place in the Boise Foothills. I request that the City retract its Decision to construct an “All Skills” Bike Park in the Military Reserve Flood Basin where the Dog Park is currently located. Albertson’s Foundation should not be allowed to dictate where an All Skills Bike Park should be located. The public was kept in the dark until after a Deal was made. The City needs to start over in planning for a Bike Park. It must conduct a full, fair and transparent public process for the siting of such a project from the start in an appropriate area for such highly intensive use. All possible options must be examined, including siting in other lands donated to the City, locations in other existing City Recreation areas, or acquisition of lands for this purpose. The City’s 2015 Plan for the Reserve areas shows that there is already high public use in Military Reserve. Imposing a Bike Park will substantially increase use, intensify user conflicts, and cause significant new environmental degradation to an area that is enjoyed by, and very important to, many Boise citizens for its natural values. The Bike Park would displace the Dog Park to the Archery Range site, and shrink the Dog Park to less than half its current size. It appears the City plans to further sub-divide the shrunken Dog area into small and large dog zones. This will leave people without room to adequately run or train larger dogs. Inevitably, some of the displaced dog use will be shifted into natural areas of Military Reserve. This will cause expanded disturbance to those areas. The City will be unable to effectively control such use. Trails in lower Military Reserve near the Dog Park site are within a high value riparian community of Cottonwood Creek and its surroundings. This is a very important area for wildlife including many migratory songbirds. The area contains a black cottonwood riparian community that attracts a wide variety of nesting birds, from song sparrows to yellow-breasted chats to nesting raptors. In the uplands, native plants still persist, including the newly named Andrus Lomatium. 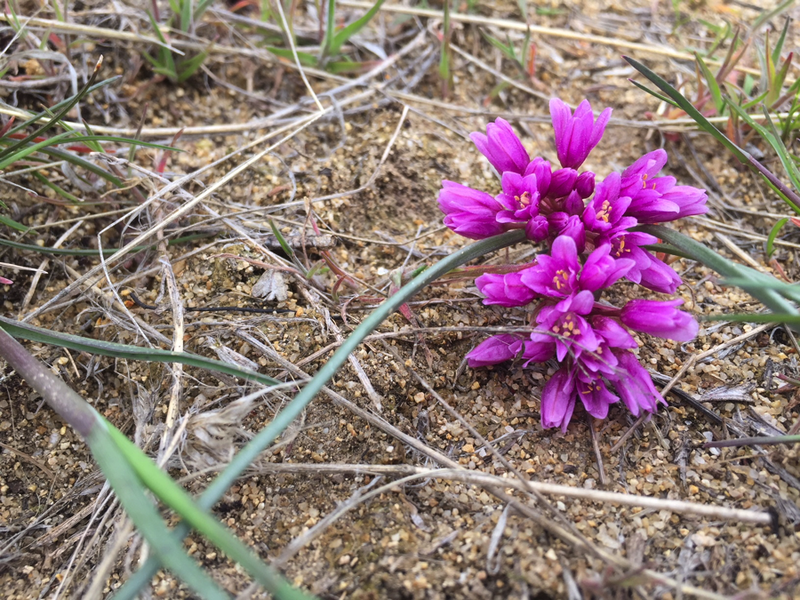 Rare plants include the beautiful pinkish purple-flowered Aase’s onion, Mulford’s milkvetch and Threatened slickspot peppergrass. The less disturbed areas of the Reserve (especially lands on the West side of Mountain Cove Road) provide important habitat for wintering mule deer. The rare plants are significantly threatened by expanding weeds that thrive as sites are disturbed. Increased human disturbance, ever-widening trails, etc. increase weed expansion risk. Inundating the area with All Age bicyclists spilling over from the Bike Park will substantially intensify user conflicts – between walkers/runners, walkers/runners with dogs and bikes. It will increase overall disturbance to the natural areas. Conflicts will be impossible to adequately mitigate. Closures of trails to a particular use would likely be routinely violated. There is not room to build additional trails without further destroying the natural values and wildlife habitats of the Reserve. This would cause new habitat fragmentation, new conduits for weed expansion into still native upland vegetation communities, and increased soil erosion. Conflicts will worsen, as dog park users and walkers are displaced from the traditional use areas and dog “Open Space” by the Bike Park. The City plans to turn the Archery Range site into a much-reduced and shrunken Dog Park. The displaced Archery Range is to be moved to the area of the historical Veterans Cemetery site. This move will intrude on Open Space values, and the scenic and serene setting of the Cemetery. 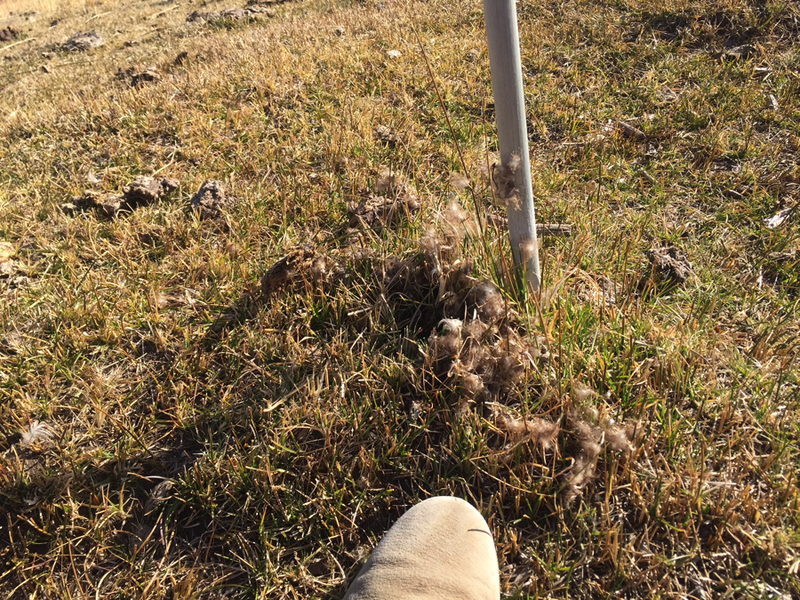 Siting the Archery Range by the Cemetery would likely require bulldozing and new fence construction. It would result in facility development on the West side of Mountain Cove road, in a relatively narrow existing open space viewshed and corridor. There are homes up on the ridge to the West off of Crestline Road. Development of an Archery Range and expanded Parking Lot down on Mountain Cove road will substantially cut into and diminish the Open Space and peaceful setting one experiences while hiking the existing trail along Freestone Creek or other lower trails in Military Reserve, as well as while driving /biking/walking on Mountain Cove Road. It will mar the setting of the Cemetery on the west side of the Road. Goat grazing and subsequent City herbicide use destroyed many wildlife food shrubs that had been planted as habitat mitigation west of Mountain Cove Road, replacing them with weeds. Some surviving wildlife shrubs are visible in background of photo. 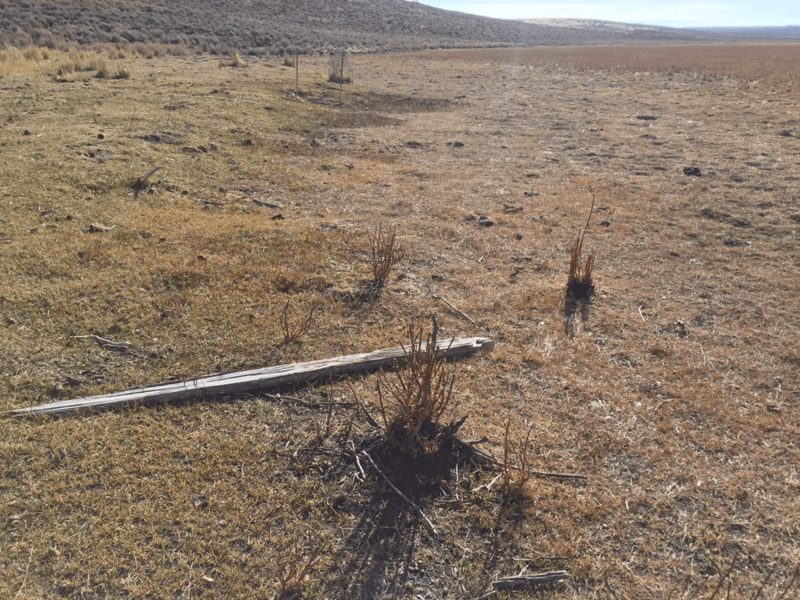 The site the City has targeted for the displaced Archery Range is situated in the lower part of a draw area that is important winter habitat for mule deer. A mule deer herd uses this area extensively in winter. The west side of Mountain Cove Road currently sees less human use than most other areas of Military Reserve. The area/basin above the cemetery draw between Mountain Cove Road and the homes on the Ridge off of Crestline Road is one of the few undeveloped upland basins with mature bitterbrush and other native shrubs remaining in the general area. The upper portion of the area is private land. Tall native bitterbrush plants provide valuable thermal cover and winter food that the deer need. 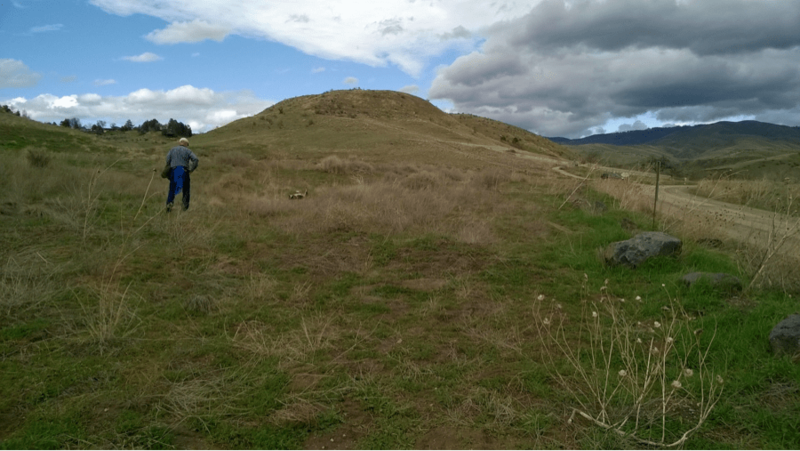 City-sanctioned new home development and hillside blading for development is eating into the heart of remaining mule deer, rare plant and other wildlife habitat in the Foothills outside the Reserve. 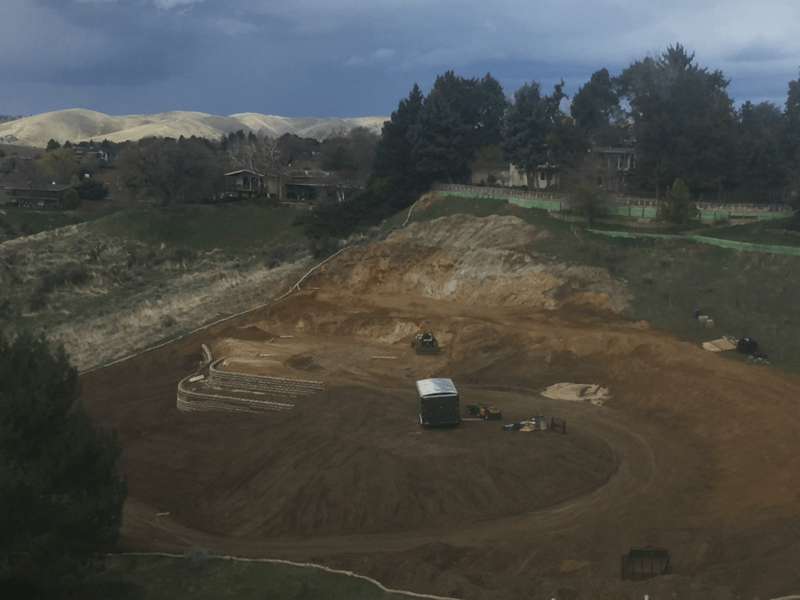 Boise City-sanctioned extreme steep hillside blading in new Sherman Hollow development destroying wildlife and big game winter habitat. April 7, 2018. The area looks like an open pit mining operation. There previously had been bitterbrush providing mule deer and songbird habitat, and rare plant habitat (Aase’s onion) on the now destroyed hillside. The City itself largely destroyed an important wildlife winter food and cover planting project in Military Reserve over the past five years. The project is located along the west side of Mountain Cove Road. Fourwing Saltbush and Big Sagebrush had been planted as habitat mitigation following the Foothills Fire. But then the City penned goats into the wildlife planting area, in a federally funded “Fuels” project. The goats destroyed and killed most of the native shrubs that had been planted for the mule deer to eat in winter. More recently, the City has herbicided the area (goat grazing disturbance caused weeds to flourish in subsequent years). This inflicted further damage to the remaining wildlife food plant shrubs. The City ignored citizen concerns about the goat damage. I have been told that the project only ended after a goat guard dog bit and injured a bicyclist. 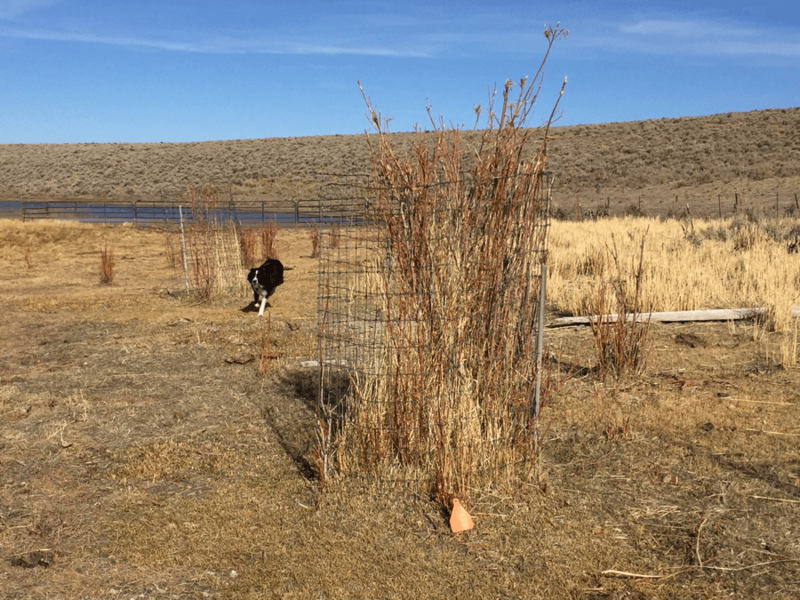 Building an Archery Range in this area will remove more of the shrubs (four-wing saltbush and sagebrush) that were planted for winter wildlife habitat. It will also increase human use in this area in winter, which is when the deer need relatively undisturbed habitats. 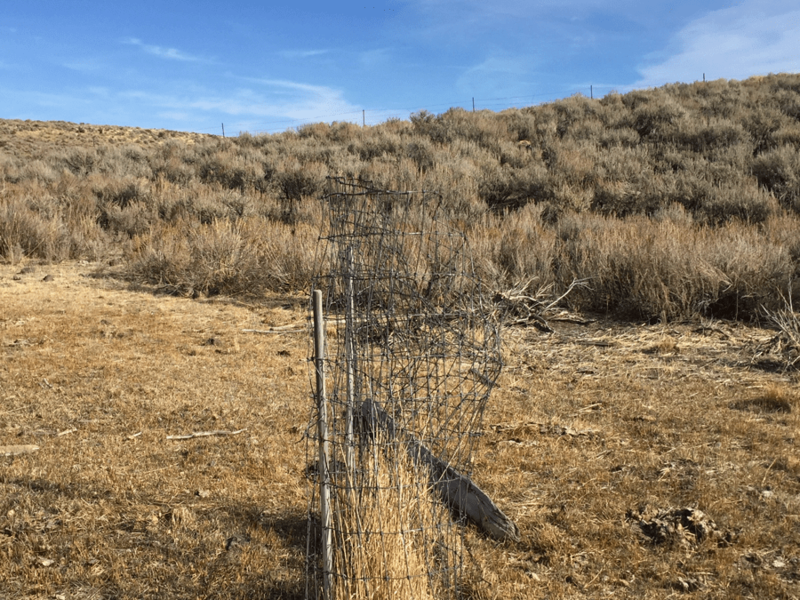 Basically, the goat grazing and subsequent herbiciding has dealt a substantial blow to a wildlife habitat enhancement project that was put in place following the Foothills/Tracer Bullet fire. At the same time, additional stress on wintering wildlife is resulting from substantially increased winter use by bicycles in the Foothills including within Military Reserve, with wide tire winter bikes currently in vogue. Bikes can cover a lot of ground and trail area much more quickly than walkers. 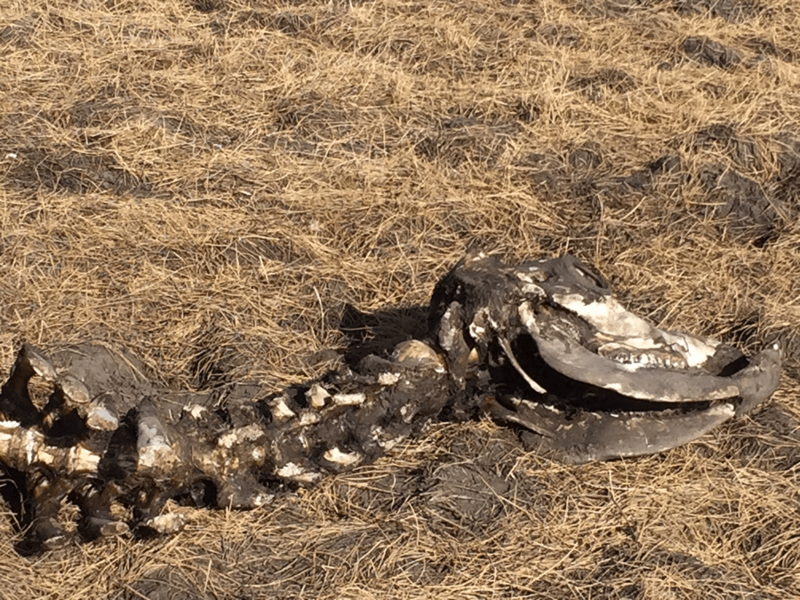 This means their wildlife disturbance Footprint typically extends over a greater area than that of a walker, or a person with a dog on a leash or closely controlled. Thus, the displacement of the Archery Range causes new harms to a scenic and historical setting by the Cemetery, and to the ever-diminishing wildlife habitat in the Foothills. There are ever-growing stresses on wildlife and natural values of the Reserve that are not being adequately addressed by the City. The goat grazing that destroyed the wildlife shrubs was to be for fire suppression. Flammable weeds continue to thrive here. Placing new development and expanded parking on the west side of Mountain Cove Road increases the risk of human-caused fire. More broadly, placing an All Skills level Bike Park in Military Reserve substantially elevates the risk of human-caused fires across the Military Reserve area and surrounding landscape. A Bike Park will likely attract many teenage users to the area and its surroundings. This is likely to increase human-caused fire risk (cigarettes, fire crackers, etc.). The City must consider the Fire Risk Footprint of intensifying human use in the Reserve and Foothills. The City cannot effectively mitigate this risk by putting in firebreaks – witness the Table Rock firecracker fire, and several other past fires – the result of negligent human activity. Plus, more Fuelbreaks will mean even LESS wildlife habitat, as native shrubs are destroyed or cleared, and herbicide drifts and harms other native vegetation. A more suitable site for a Bike Park would be in a more urban type setting, and surrounded by irrigated or developed lands to minimize fire risk. 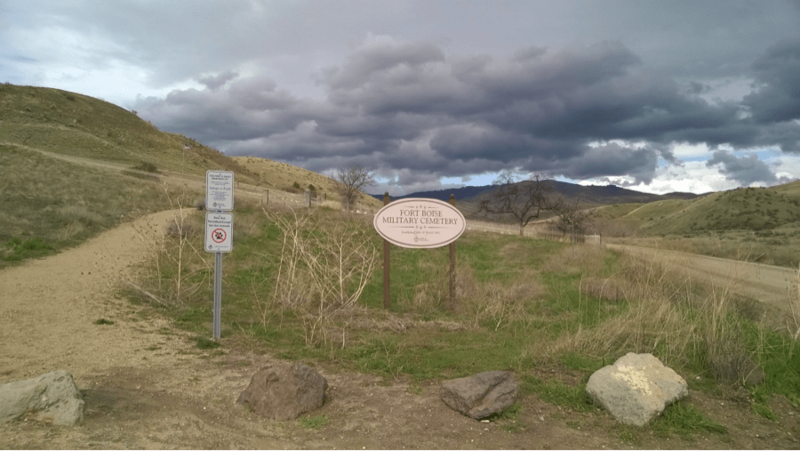 Shrinking the Dog Park and adding in increased All Ages bike traffic on adjacent Military Reserve and Foothills trails and areas will present a serious new safety hazard for walkers, dogs, and bikes. User conflicts (and accidents) in this already heavily used area will increase and escalate. People with large dogs will not have the space to effectively exercise them. They will use the trails and open space instead, escalating conflicts there. Walkers, runners and other foothills users also seek solitude and peace. Having to constantly be on the lookout for a bike that may injure a person or a dog is not a peaceful natural experience. The Parks Director is quoted in the Statesman as saying Military Reserve is a terrible Dog Park. Right now there is room for people with large dogs to give the dogs ample off-leash exercise. There is room for people with problem dogs, or folks training dogs, to separate themselves a bit from the more heavily used areas of the Dog Park. There has been no systematic analysis of the needs of dogs and dog folks – including the need for space for exercise, and what is good for the dogs – not what looks good to people. 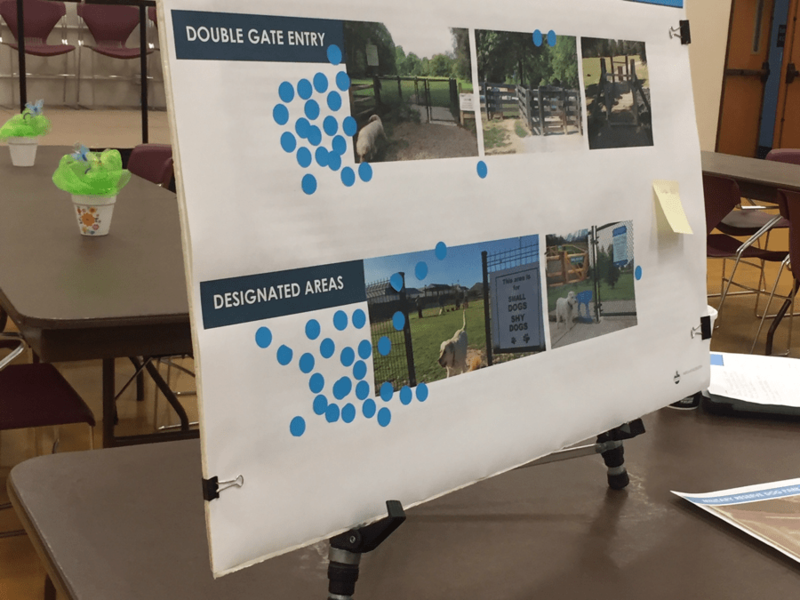 People attending the City Parks and Rec Open House were handed blue dots to stick on posters showing various amenities for a new shrunken Dog Park. There was no poster to stick blue dots on that said Keep Dog Park in the same location and size. The meeting’s public input opportunities were biased towards advancing the City’s agenda. Boise dog advocates had repeatedly approached the City in the past about making various improvements to the Dog Park. They were told No, No, No by the City – the basin is for flood control only and no structures can be placed in it. What has changed since then? Nothing. It is still essential that the area be kept clear for flood control. Both the Dog Park and Archery Range are currently situated in Flood Control Basins. The headlines from the time of the 1959 Floods show the dangers of flooding. These dangers are likely to increase with climate change effects, as more extreme weather events are predicted. Risk is increasingly greater, not less. The scientific evidence shows that very significant flooding and runoff events could happen again. Climate change elevates this risk. Has the City received federal funds for flood control efforts and the Flood Basins in the Cottonwood and Freestone Creeks watersheds? Were there specific terms with those funds? How much Boise City taxpayer funds were spent? The Boise City 1998 Reserves Master Plan (also included Camelsback and Hulls Gulch) states that Military Reserve’s Natural Systems are more intact than Hulls Gulch or Camelsback. It also states that ‘by definition, the Reserves are open space areas where wildlife and their habitats are the primary resource and recreation is generally passive – the user is looking for a degree of solitude. It also distinguishes between traditional parks with developed structures for “active restoration” and Reserves. The following are a series of screenshots from the text of that Plan. This 1998 Plan reflects the values for which the Reserves were established. 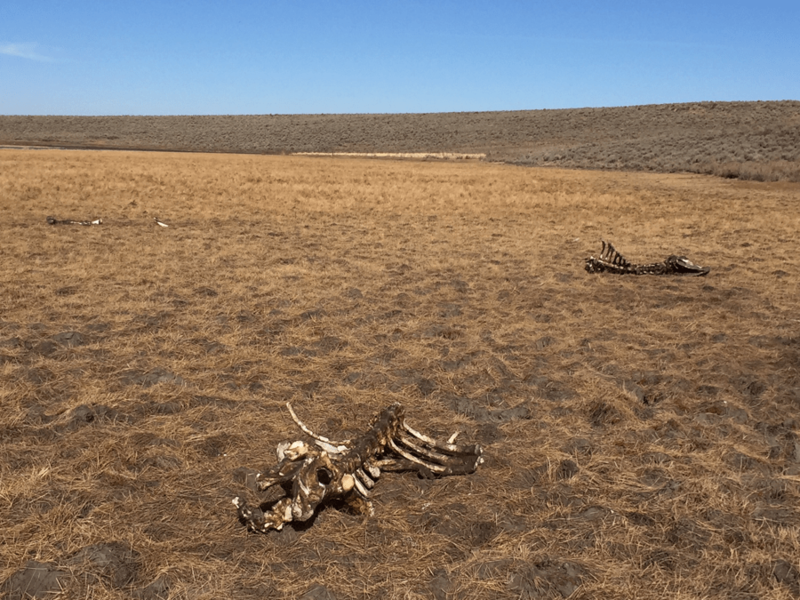 The 2015 City of Boise “Reserves Open Space Plan” claims to espouse Ecosystem health. In 2015, the City paid consultants to develop a Reserves “Open Space” Plan that strayed somewhat from the Core Values and care about historical, wildlife, natural values and Open Space purposes and protection of the values that Military Reserve was created to protect. Nevertheless, that 2015 Plan recognizes the high values of Military Reserve. It recognizes that the Reserve is already heavily used. Here are some of the elements of that 2015 Plan. The Bike Park with the promises of Open Space Plan. Boise’s open spaces protect important wildlife corridors, waterways and rare plant areas by creating large expanses of intact habitats and ecosystems. This benefits Boise by maintaining and improving water and air quality, and native wildlife habitats. The intensified and increased human use and disturbance from a Destination Bike Park and its spillover use into the Reserve Open Spaces and natural areas conflicts with maintenance and protection of ecosystem health. Moving the archery range to a currently undeveloped area of wildlife habitat conflicts with ecosystem health values. Enhance and Protect Ecosystem Benefits and Conservation Values. Guiding principle: Protect and enhance the conservation values and ecosystem benefits of open spaces, focusing on clean water, fire adaptation/mitigation, wildlife habitat and native vegetation. Anticipate and respond to issues affecting the health and character of reserves, including locally generated activities and broader impacts such as climate change. Model how well managed reserves can sustain vibrant ecosystems while supporting a range of beneficial public uses. The Bike Park and its ricochet effects will degrade conservation values of open space, increase soil erosion on trails adding to water pollution, increase fire risk, and diminish and degrade wildlife habitats and native vegetation. Guiding principle: Work to ensure users and potential users feel encouraged, comfortable and safe across a wide spectrum of experiences. Provide a diversity of non-motorized recreation opportunities, and expand accessibility to underserved populations. Act in partnership with users to enhance experiences and mitigate potential use conflicts. The Bike Park and its ricochet effects decrease walker/runner and dog safety, and opportunities for peace and solitude. By being a magnet for all skill levels and ages, the Park will increase risk human-caused fire risk. The Bike Park would be located by the most affluent neighborhoods in Boise, and would not be in a readily accessible area for underserved populations. The Bike Park and its ricochet effects decrease safety of walkers, walkers with dogs, and bicyclists, too. It will add to congestion, and will result in thrill seeking cyclists using the area. Maintain and increase, as appropriate, the current “acres-per-capita” for open spaces, to anticipate and help address future growth and use pressure. The Bike Park and its ricochet effects will decrease the “acres per capita” for current Open Space users of the Military Reserve area. Existing open space reserves, and/or those added to the system in the future, will be managed with the intent of perpetuity of protection. The Bike Park and its ricochet effects are not compatible with “perpetuity of protection” of Military Reserve Core Values. The Park would cause new development of a currently undeveloped area right by the major historical site in the Reserve. Create habitat connections, in order to enhance ecosystems’ overall sustainability and benefits (see Appendix D). Compile data describing existing and potential habitat connections and wildlife corridors within Boise and adjacent communities (e.g., Ada County, etc). Use this inventory to protect existing critical areas, inform partnerships, and to prioritize conservation efforts on existing and future reserves. Create a restoration plan to guide system-wide efforts that enhance wildlife corridors, including riparian and upland habitat, to guide management decisions and inform future acquisition or easement efforts. The Bike Park and its ricochet effects would degrade existing wildlife corridors and use areas, harm the ecosystem and overall sustainability, and increasingly fragment rather than connect habitats. Each “Reserve Snapshot” ends with two elements: 1) a management intent that outlines the management objectives for the reserve, and 2) management strategies for reserve-specific action items …Management strategies represent focused objectives for each reserve, and go beyond the level of specificity in the reserve-wide section. Management Issues and Challenges. HEAVY USE. Users will generally have equal accessibility, though limited or specialized use (e.g., dog park) should be allowed in some areas, if needed to reduce use impacts and sustain habitat. Provide enhancements at dog park and nearby trails for improved off- leash use and to encourage more responsible dog ownership. This indicates that the Planners believed an important function of the Dog Park at its current size is to reduce dog use impacts and sustain habitats in the rest of the Reserve. This Plan did not include a Bike Park displacing and shrinking the Dog Park in Military Reserve. The environmental precautions discussed in the Plan show that Military Reserve is not a place for a destination All Skills Bike Park. No City Will to Protect Wildlife Habitat and Natural Values? It appears the City has lost its will to protect wildlife habitat and natural values in the Foothills Reserves and surroundings. Ever-increasing pressure is being placed on the habitat that remains both inside and outside the Foothills Reserves, and City actions are responsible for this. City-authorized development, including extensive hillside blading, destroys remaining habitat areas in the Foothills, and ever-larger houses are being placed on marginal lots – further diminishing and fragmenting habitats. 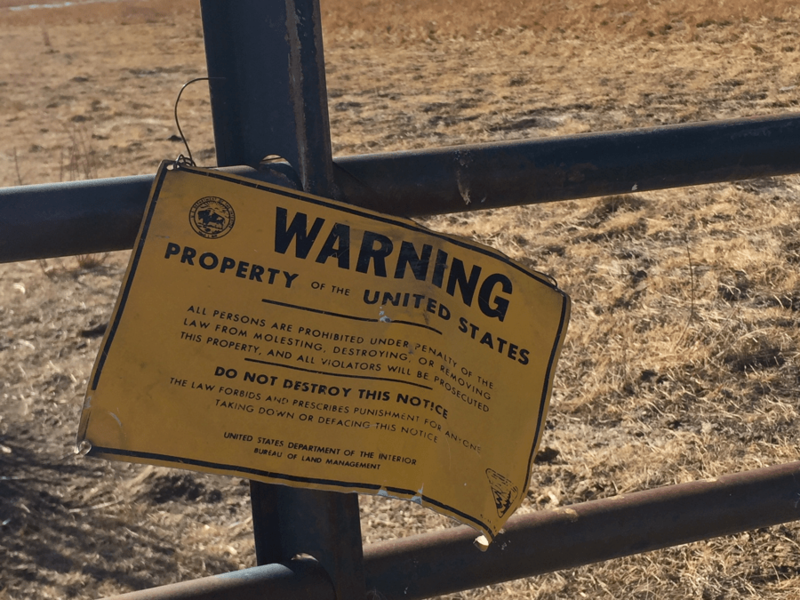 Now Military Reserve is faced with the threat of a destination Bike Park that will further degrade natural values and sustainability of vibrant wildlife populations in the Boise Foothills.